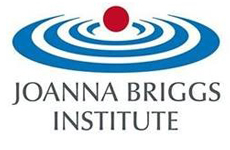 The Joanna Briggs Institute (JBI) evidence-based practice resources assist healthcare professionals implement an effective evidence-based practice program to provide the best possible patient care. JBI’s is one of the world’s leading evidence-based practice (EBP) organizations. The Institute, located at the University of Adelaide in Australia, develops evidence in various formats for nursing, allied health and medical professionals. It also offers information for consumers. The Protocols are especially helpful for someone looking for a model systematic review proposal.